Hunting? Hurting? a Dating Success Team Group can Help You Stay Sane and Successful! Dating can be anything but fun. Dating Success Teams help you get “get a grip” so you can be successful! 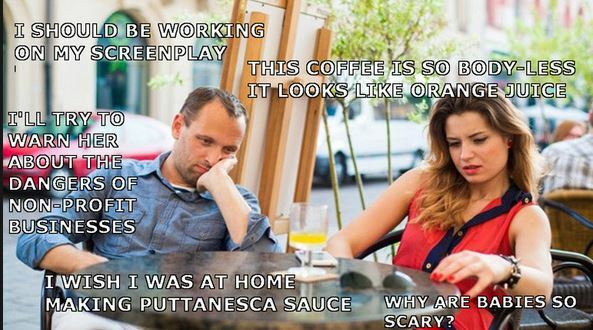 Dating is not always such fun. The fun generally happens after you’ve found someone special and you’re connecting. Until then, for most people, being part of the “meet market” is hard work, and it can be disappointing and sometimes, downright depressing. Being social may be the last thing on your mind when you’ve had one bad date too many, or you aren’t getting anywhere with your love life, but ironically, getting support from others in a “Dating Success Team” while you’re going through this process can really help you make it through! Join a Dating Success Team (or start one of your own) and you’ll get support, information and inspiration from others in the same boat, especially while you’re “hunting, “and especially when you’re hurting, Members of a “success team” meet regularly and share their thoughts, feelings and experiences, but unlike group therapy or career counseling, success teams focus on action and results. Success teams are more traditionally used by job hunters, but they are powerful tools which can also inspire and empower you in your search to recruit love. 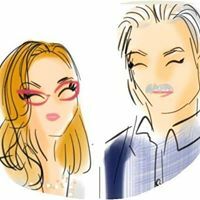 I have been an expert moderator of many Dating Success Teams, and I’ve heard so many stories both online and off about the positive experience people have had in these groups. First and foremost, keep in mind that support teams are active sessions in which all participants both listen & participate. If someone wants to just “lurk” it’s ok for the first session so they can get a feel for the group, but anyone who stays silent and doesn’t participate after that should not be a group member. By mutual consent of the group members, an entire session can be devoted to a theme, or in learning more about a particular topic (e.g., Researching how to safely and effectively use apps., or online dating profiles, to find suitable dates). The topic should be determined in advance, with each group member doing an assigned part of the program.Everyone participating should understand at the outset that there are no “right” or “wrong” answers. You alone decide what course of action you will take. 1. A group of adults (no less than six and no more than ten would be an ideal number ) over the age of 20 up to any age (you can decide if you want to be more selective in your age limitations) who are actively trying to find someone with whom to have a serious relationship.The ultimate “romantic goal” need not be the same for all participants: some may be seeking marriage, others just a soul mate or special friend; the important thing is that they must be actively searching for someone for an identifiable romantic goal. 3. A regularly scheduled time and place to meet (usually an hour to two hours every other week). The group can meet anywhere you choose, as long as the place selected is quiet and fairly private (you don’t want to be in a place where you might run into your co-workers, or your boss, or be interrupted every ten minutes by a waiter asking you: “Is everything all right?“). This usually means taking turns meeting in participants’ homes or in spaces reserved for community activities. Each member is integral to the success of the group. If you can’t make a session, you should notify the group leader at least 24-hours in advance. 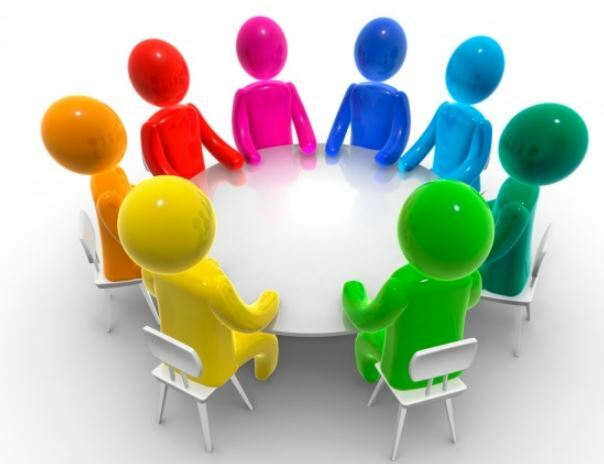 The group leader has the authority to end a session or shift the discussion if it strays significantly from the agreed-upon format, and to eject any participant who becomes abusive and destructive to the group process.Each paparticipant receives equal time, based on the number of group participants. If you’re late, you join the group in progress. There is no back tracking for late comers, and you may lose your personal time. 1. Propose a focus for why you’re in the group so the others have an idea of what your goals are. 2.Agree to interact honestly and freely with the other members in the group. 3. Be open minded and be willing to tap the collective experience, expertise and brain-power of the success team group to solve specific problems or pursue specific goals. 4. Listen, participate, network, give and get support. 5. Understand that maintaining confidentiality is paramount. No one must ever discuss personal details or the particulars of the session with anyone outside of the group for any reason. 1. Be responsible for monitoring and maintaining the focus of the success team process. 2. Be responsible for making sure the sessions begin and end on time;contact all participants if the date, time or place of thesession is changed. 5. Be impartial and nonjudgmental.In a small group, it is possible for all participants to take turnsbeing the group leader, but only if each member feels comfortable with this arrangement, and each participant feels confident that s/he can meet the above criteria. The success of a dating success team rises and falls on its members’ active listening and participation. You’ll get more out of your sessions by setting a clear, personal goal for each session you attend, know in advance what you want from the group, and take notes to recall group input. You should be comfortable & candid, but not deliberately hurtful or rude. You always have the right to decline offers of unwanted assistance, or what you view as unreasonable requests for help from others in the group. It’s also wise to make it clear at the outset to potential participants who might not be all that familiar with the concept of a “support team,” that this type of group in not “therapy” and is not designed for (and does not take the place of) private mental health professional counseling, group therapy, crisis counseling, or other intensive, personal counseling. If you sense that someone in your group is deeply troubled, don’t attempt to treat them. The best action is to encourage this person to seek a therapist not instead of but along with your dating success team activities. 1. State briefly the goals and issues you want to focus on at the session and report your progress to the group on your progress from the previous session. 2. Request a specific type of support from the group for that session. Gripe if you must, but you’re there for positive action so don’t waste too much time on sympathy. Instead advise the group as to what steps you’re going to take to reach your stated goal up until the next meeting, and organize your thoughts and goals ahead of time to maximize the benefit from your time with the group. 4. Over time you’ll likely become social with some members (or all of them) and act socially outside of the group. Just remember to keep confidences shared in the group, private. In these days, when personal relationships often seem to take a back seat to business, isn’t it great that a dating success team combines that best of both worlds? Without debate, a Dating Success Team is an excellent way to feel great (or at least, better and more sane) while you’re looking for a mate! 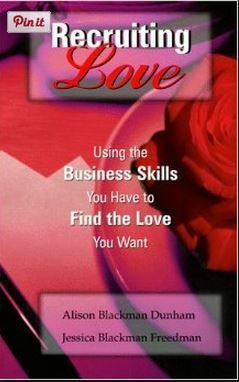 This article is adapted from Chapter 8: Adjusting Your Recruitment Strategy of the “must-have” book for adult singles: RECRUITING LOVE: USING BUSINESS SKILLS YOU HAVE TO FIND THE LOVE YOU WANT by Alison Blackman Dunham and Jessica Blackman Freedman “The Advice Sisters” *this book is out of print, but we do have copies. Contact Alison Blackman for more information or to learn more about having her moderate your success team. dating isn't always such fun, but dating success teams help you stay on track and get support while you're in the meet market. Here's what you need to know to join a group or start one of your own.